As we know Aamir Khan who is also known as Mr. Perfectionist always do a perfect things with perfect timing . 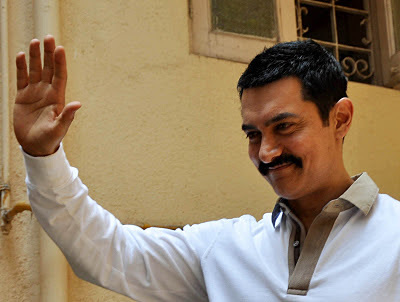 SO, due to busy schedule AAMIR KHAN postponed his next film "Dhoom-3" shooting until he will complete Reema Kagti's "TALAASH" movie. May be first time that Yash Raj Films has no objection with his actor's demand. As we know Madhur's "Heroine" also delay due to many reasons . "Dhoom -3" also on this way may be delay since 2 years.